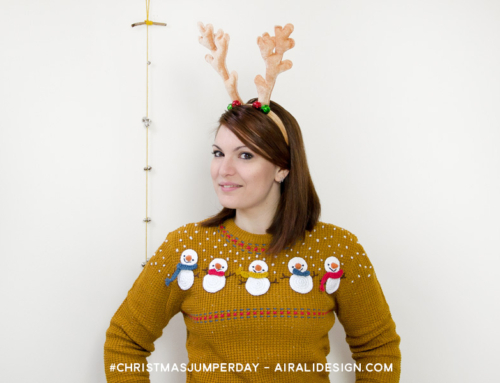 This blog has been my diary from maker to crochet designer from 2010 to 2017, in recent years my posts had become less assiduous. First Facebook, then Instagram, had sucked all the “online time”. You may wonder what has changed now? 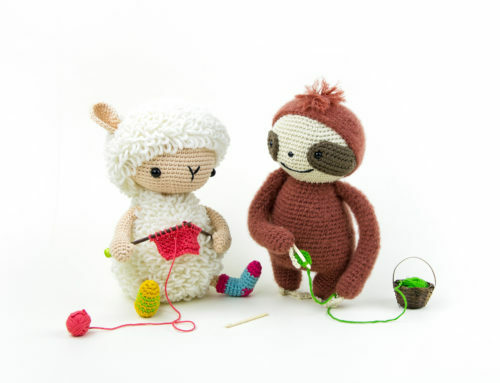 I changed 4 flats in two different countries, 3 tax administrations and stashed lots of yarn, but my blog was always here waiting for me while I felt guilty for having abandoned it… all of you. 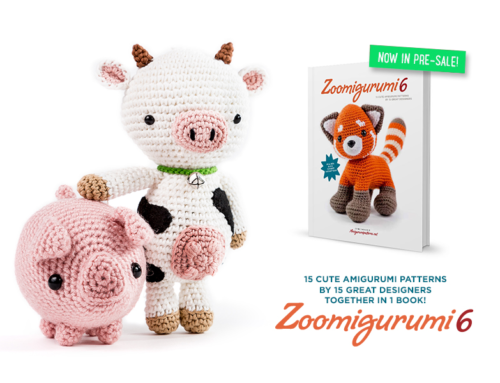 Sum up these almost-two-years in a single post is an impossible mission, but I’d like to share a few steps that were important to me and a free pattern that could be tempting to someone. 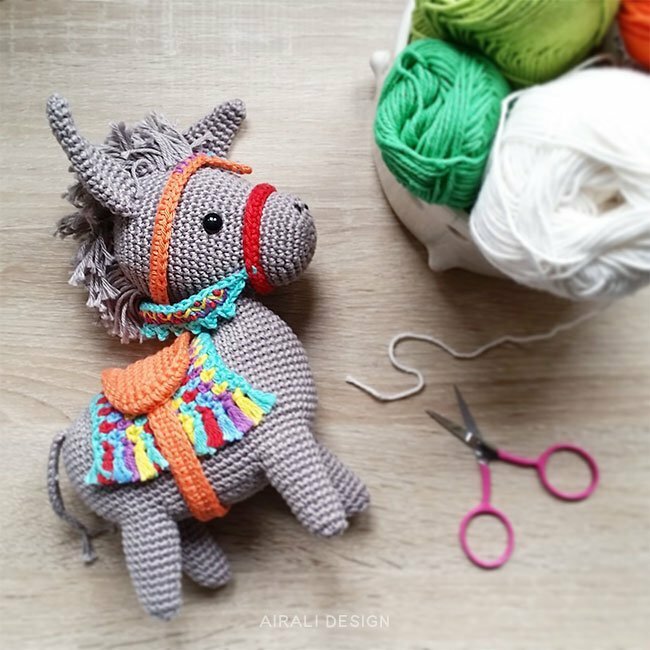 Pedro the donkey was undoubtedly the most beloved and pampered amigurumi of last year. 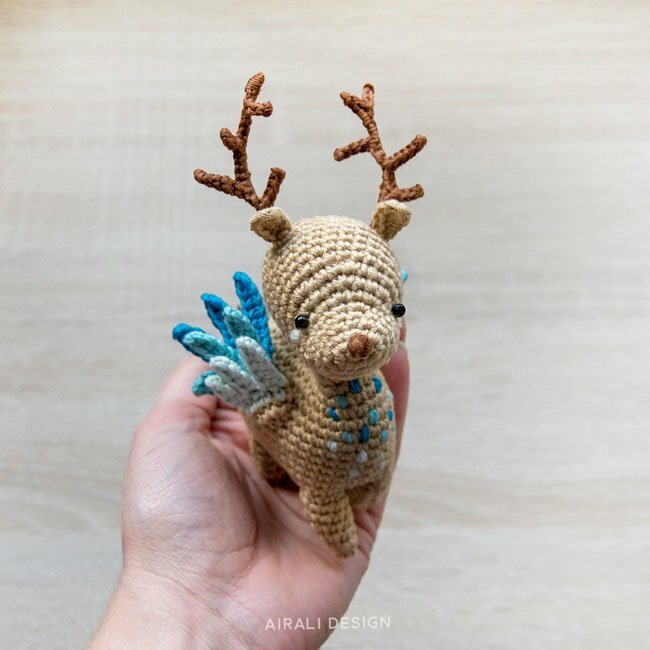 An incredible surprise was to win the most important Amigurumi contest thanks to Little Peryton. 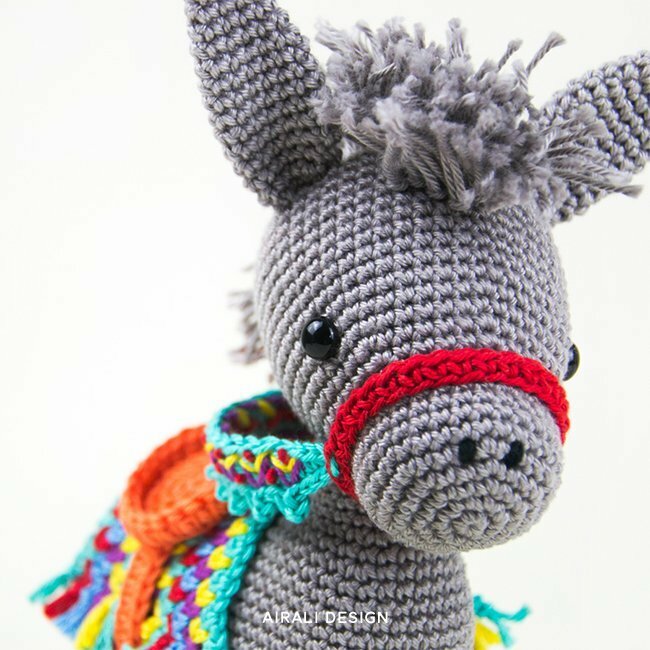 That crochet pattern has also been selected for the book “Unicorns, Dragons and More Fantasy Amigurumi“. It was magical! 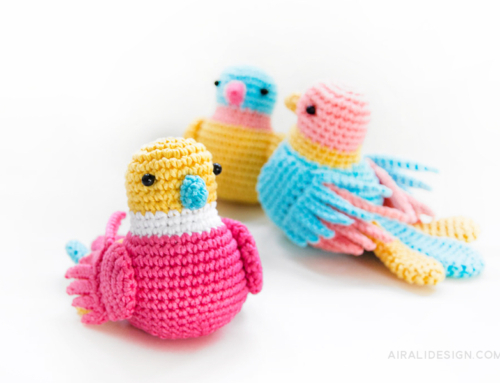 Uhm … spoiler … Little Peryton will be available as single PDF pattern very very soon. 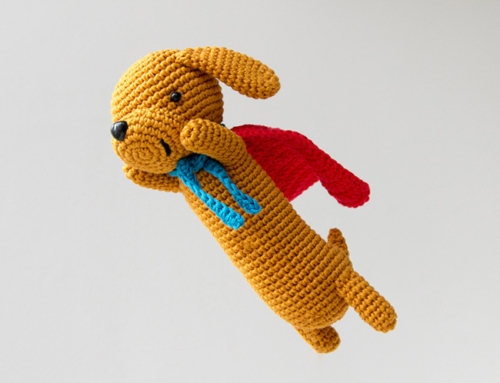 I hope this post will help to stretch my fingers because I’d like to write more and more posts on this new blog. Better if I run to write a list of the next posts, see you soon! 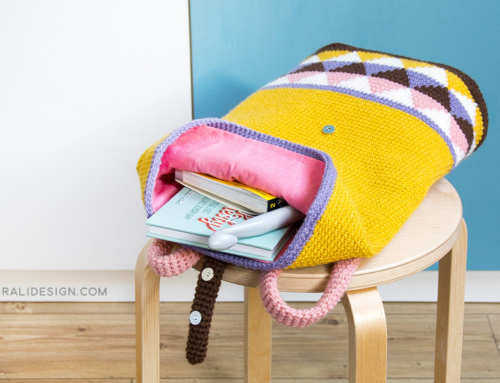 But first, here is the free pattern that I made with the beautiful DHG Dyeing House Gallery yarn. 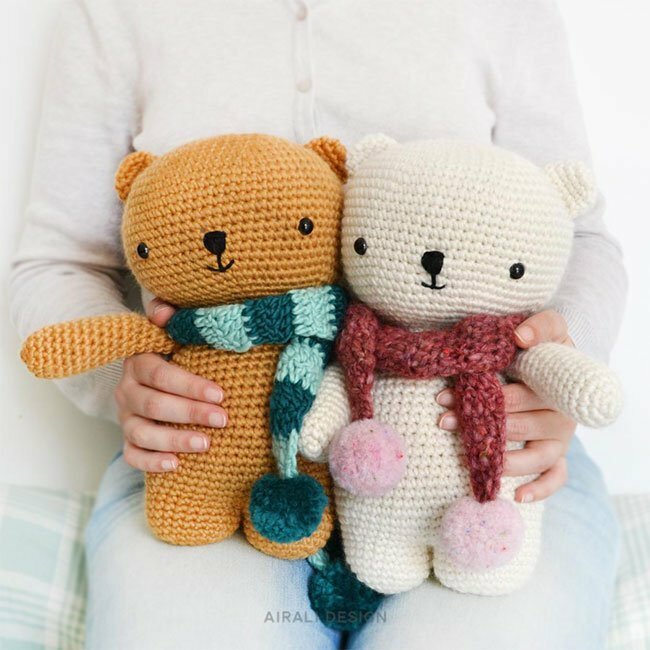 The amigurumi bear can be made in any color and it will be fun to match the scarf (monochrome or striped) with two pompoms! 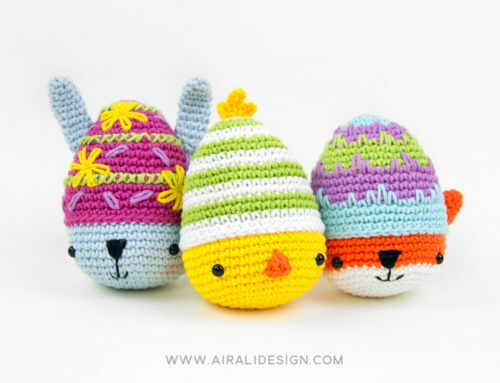 * MCAL (Mystery Crochet Along) is a crochet themed event (and this was to be expected! 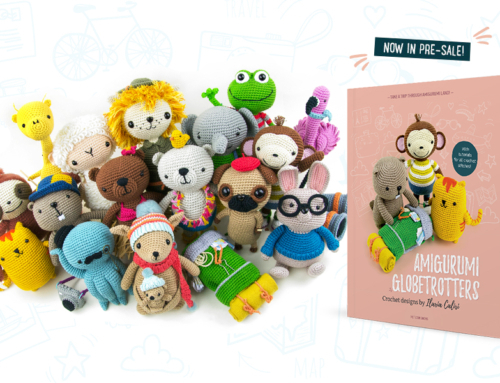 ), to which we subscribe knowing only in general what we will do (the theme can be a blanket, a shawl or as in our case: amigurumi items and characters!). Each event has its own calendar and each part/clue reveal a part of the mystery project. 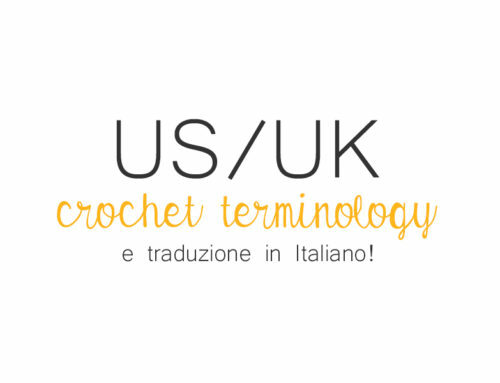 I will write about that in detail in another post! 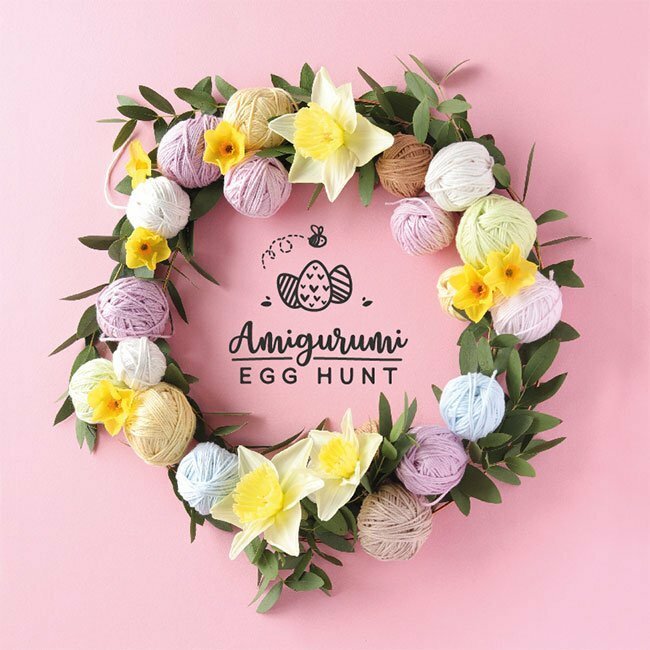 Meanwhile, if you are tempted to make small amigurumi in pastel colors, inspired by spring, here are all the info to join in the Amigurumi Egg Hunt!